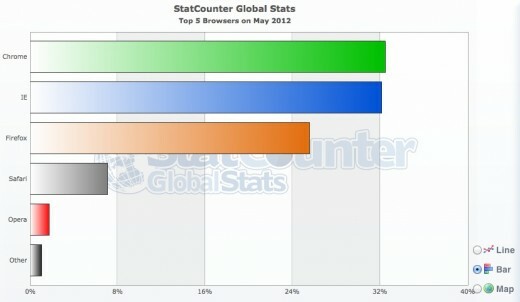 For the first time in 17 years, Microsoft’s Internet Explorer has lost the top spot in the browser wars. 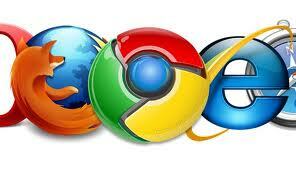 It was first reported a couple of weeks ago that Chrome had beaten out Internet Explorer for an entire week. Now comes the news that Chrome led the worldwide market for the entire month of May. The reason that IE has held the crown for so long is mainly due to the fact that for years it was the only viable option, not to mention the fact that it has shipped with all copies of Microsoft Windows. The company got into trouble in the late 90’s when they were sued by the US government. According to Wikipedia the government “alleged that Microsoft abused monopoly power on Intel-based personal computers in its handling of operating system sales and web browser sales. The issue central to the case was whether Microsoft was allowed to bundle its flagship Internet Explorer (IE) web browser software with its Microsoft Windows operating system. Bundling them together is alleged to have been responsible for Microsoft’s victory in the browser wars as every Windows user had a copy of Internet Explorer. It was further alleged that this restricted the market for competing web browsers (such as Netscape Navigator or Opera) that were slow to download over a modem or had to be purchased at a store.” In other words it’s because IE shipped with Microsoft Windows for so many years that they have dominated the browser market for so long. But security and performance issues plagued Internet Explorer over the next few years and was a predominant reason people began to search for better web browsers. Enter Firefox in November 2004 and Google’s Chrome in December of 2008. It’s only been 4 short years, but according to the latest report from Statcounter, Chrome appears to be the current king of the web browsers. Is this just a one time event or is Chrome prepared to get comfortable at the top? 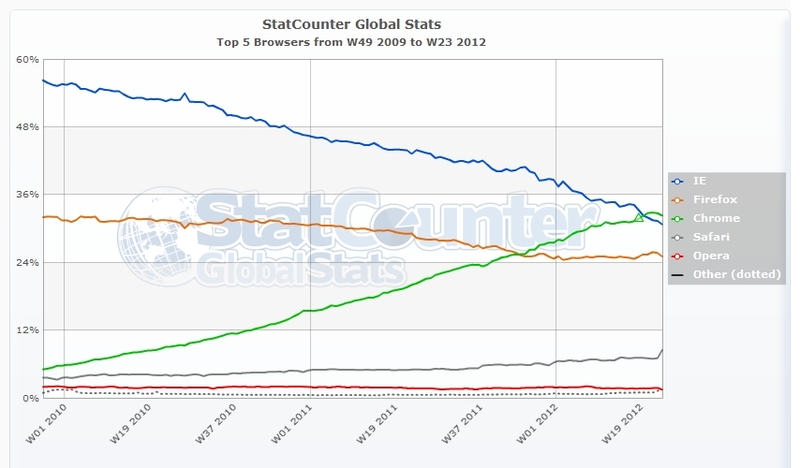 More than likely if the graph above is any indication Chrome won’t be giving up the crown anytime soon. Although IE has made drastic improvements over the past few years it’s going to take something really substantial to change the view that many already have. And in my opinion Chrome deserves the top spot, it really is a great modern browser! Very fast and feature rich. I use it both at work and on my home computers. What about you? Which browser are you currently using?